Get your dancing shoes on and make some moves with LoveTheatre's great NEW Pineapple Dance packages! Pineapple Dance Studios offer more classes and a wider variety of dance styles than any other studio in Europe. There are nearly 40 different varieties to choose from, ranging from classical ballet to street jazz, hip hop to salsa, Egyptian dance to Bollywood grooves plus many more. If you love dance, pair your newfound moves with your favourite West End show! Click here to find out more. See the inspirational story of a young boy's struggle against the odds to make his dreams come true. Follow Billy’s journey as he stumbles out of the boxing ring and into a ballet class where he discovers a passion for dance that inspires his family and whole community and changes his life forever. Great seats from £38.70 + Complimentary Dance Class of choice at Pineapple Dance Studios. Coming this October. Starring the Queen of British Soul, multi-award-winning recording artist Beverley Knight and West End star Killian Donnelly, Memphis The Musical is set in the underground nightclubs of 1950s Memphis, Tennessee, where the soul of a new era is dawning as the first incredible sounds of rock ‘n’ roll, blues and gospel are emerging into the mainstream. Top price seat from £62.50 + Complimentary Dance Class of choice at Pineapple Studios. Celebrate the the wonderful career of the world's greatest entertainer - Michael Jackson! 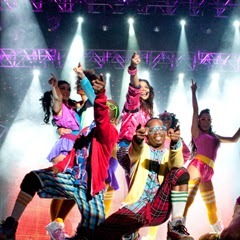 With original choreography from MTV award winning choreographer LaVelle Smith Jnr. and brilliant vocal performances, Jackson's amazing songs and videos are brought to life on stage in a spectacular and sensational way. Top price seat from £45 + Complimentary Dance Class of choice at Pineapple Studios. This multi-award winning show continues to astound audiences across the world with its universal language of rhythm, theatre, comedy and dance. 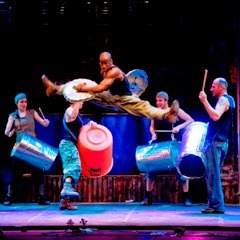 With new routines, new choreography and new music, Stomp is pure stage magic! Top price seat from £32 + Complimentary Dance Class of choice at Pineapple Studios. 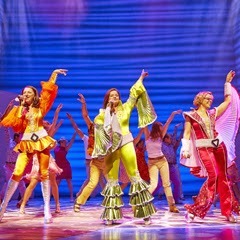 Set on a Greek island paradise, a story of love, friendship and identity is cleverly told through the timeless songs of ABBA, including 'Dancing Queen', 'Take A Chance On Me' and 'Super Trouper'. Top price seat from £65 + Complimentary Dance Class of choice at Pineapple Studios. Coming this October. Fresh from wowing audiences across the country with Midnight Tango, TV’s Strictly Come Dancing favourites Vincent Simone and Flavia Cacace bring you their sensational new production Dance 'Til Dawn, a show straight from the Golden Age of Hollywood. Top price seat from £59.50 + Complimentary Dance Class at Pineapple Studios. Coming this September. Michael Flatley returns to the West End for the final time with his most spectacular show to date. Featuring 40 of the world’s most outstanding young performers, along with new music, costumes and choreography with very special guest former-Girls Aloud star Nadine Coyle. Top price seat from £55 + Complimentary Dance Class at Pineapple Studios.